Get off the train for good! I got to know Creeds Aventus for the first time on the test strip. I was very convinced, but not in love. At some point, I tested him on my skin. After the beautiful fruity top note, it didn't unfold much (in my opinion at that time). At that time I blamed the natural fragrances. A good Pafumo then of course quickly looks for alternatives and I decided on Haramains L'Aventure. He was different, of course. I wore it sometimes and had to realize that this scent does not suit me and does not fill me. From this point on I only associated the fragrance with suits. And an even better perfumer occasionally visits a Zara shop. There I discovered the Rich Leather by random selection. "Wow, what a lovely fruity summer scent. Reminds me of something. Oh! I'll take that with me." At home, of course, the tests were carried out. "Hm, very weak and the top note is not permanent. Would be nice if the top note lasted longer." The best perfume follows every trend and news on this page. "Oops, that Vibrant Leather everybody's talking about, he'll be back now and this time even as O de Parfuuuh". Ordered. Tested. It's getting boring. That top note again that convinces me. And then everything collapses. And a smart perfumer like me never gives up. He has sold all previous fragrances because he was never satisfied with them. And yet he missed her again and again. So, Afnan's Supremacy Silver is bought at the Souk. "So I buy that now and keep it, Hopefully the test turns out positive." It took five different fragrances for me to realize that Aventus and I would never become close friends. I got to know Aventus over a year ago. Over time, of course, I have learned a lot from testing. And that finally made it easier for me to understand why I don't like Aventus and Co. and why I'll never buy it again. With all the scents it was always the case that I liked the top note extraordinarily well. Even with Supremacy. Fresh, little sweet pineapple which is accompanied by smoky woods. With this fragrance there is even an ashy note, which I never noticed with the other four fragrances. The fresh, unvoluminous fruit, together with the woods, has a summery masculine-elegant effect and unfortunately also smells of megalomania/illusionary power. But I could overlook that because of the top note. Then the inevitable happens. The top note gradually disappears and does not appear in the heart note for too long. After the fruitiness has disappeared, only musty smoky wood with earthy notes remains. From here at the latest, the scent loses its spirit and life (although it didn't have much of it anyway). It smokes in the woods and the earth stinks. No sign of life. No dynamics. No power. No motivation. What insight have I now gained from this? I believe that Aventus and Co. is more of a head note seducer and I believe that its success in the market is due to the fact that many people like the head note. I have now finally understood that this fragrance with its deceptive, complacent, lifeless manner will never suit me. I don't want to blame the lovers with that now. It is as it is: Aventus and Co. are fragrances for me that are "only" in the upper-medium range. The time is ripe. Now I'm finally getting out. Au revoir! I respect Aventus as a fragrance, as a perfume and also some of its wearers. Personally I liked it only mediocre, at the first test I was literally killed by smoke, which spoiled my scent as such. Even a 2nd and 3rd test have only managed that I have judged him a grade better meanwhile. That happens, I think everyone had a scent in their hand, which is highly rated in the community and then found out for themselves that it's not for them at all. But what I don't understand at all is how vehemently this scent is defended with all force, even if one speaks about it in a somewhat positive way. No other fragrance shows such an extreme phenomenon. I've looked at the comments and since about 2017 only a few manage to write a first class / very helpful review comment. Yes, that's partly because of the author and his lines, but also to a large extent because of you dear community, because you press on Not Helpful! What's the matter with you? Allow everyone his opinion, many comments were not so bad. Admittedly, many of the last written ones also made the impression on me that it was extra provocative and that people under other names had fun because they knew that some of them crawled out of the holes and did Mimimi if you just use the right cliché. The impression is made boys. It's not like it's a scent created by yourself, even then you have to reckon with the fact that not everyone likes it. You should see a lot of perfumes and especially perfumes much more relaxed. Now I hear someone screaming again in the background:" Why doesn't the sack write anything about the scent?" Just to mention the most common twins. The Supremacy joins this squad and smells of Aventus. You're welcome to read about it there. There may be users here who have all of them or some of them and can clearly distinguish every single molecule and particle except the last one. I like it, but do you think anyone on the street would see a difference? I'm waiting for the day someone tells me, hey you're wearing Aventus with the batchcode xy123. I'll celebrate that! Basically I want to say, you don't have to make a science out of everything. Why has the stupid Schoork Supremacy Silver bought itself now, most will ask themselves. Right! A few months ago I went to Zara to get From Paris to New York because I wanted a cheap alternative to my great but more expensive Chanel Allure Homme Sport Cologne. So I can also understand if someone is looking for a cheap alternative to his Aventus, which he also gets here with the Afnan. Now as I sprayed the cologne on Zara's, next to it stood the same bottle with the inscription Vibrant Leather. Out of curiosity I felt this one on the other arm and was immediately thrilled, without knowing that he should also have a similarity with Aventus, whereby the fruity note already seemed familiar to me. I took both with me afterwards. The VL is wonderfully fruity and fresh, but I have to spray like a cologne. So 6-7x determined to get through the day. It's also pretty light, so it's really great overall. 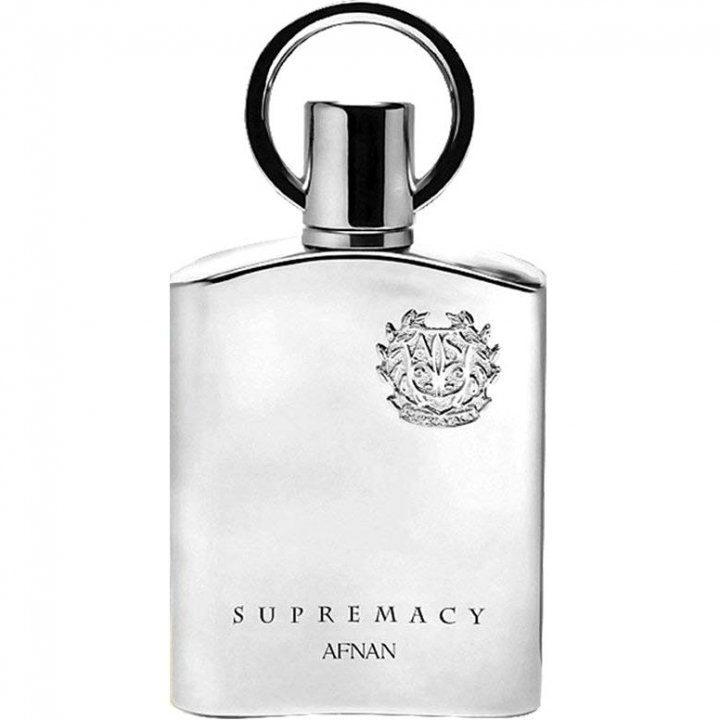 Now I had decided to order the Afnan blind, it shouldn't be as smoky as the Aventus clone, but it was also fruity enough and the goal was, that I could wear the Afnan at the present colder time, instead of VL in summer, where I see it more. So I hoped he'd be stronger. Well, that went a little in the pants. The Supremacy is extremely close, has hardly any Sillage, is not more fruity than the VL and of course smokier, but not like the Aventus, so I get along with it. Somehow I was naive and curious, because the durability is not better than with the VL. But the Falkon is pretty cool, depending on the light it looks silver/chrome, then it becomes transparent again and you can see the liquid. I've read here now, it should smell the same as Aventus at the moment, if that's true then I celebrate the 30€ I paid for it. But I'm sure a super nose will tell me that there will be a difference after all. That's certainly true, but I don't really care. Nevertheless I would personally be quite upset about a similar performance for 200€. All in all I plead for more tolerance, it is still about perfume and everyone should wear what he wants and what he feels comfortable with. It's about smelling good, underlining his mood, or completing his outfit and even if I now have to hurt the generation Youtube again...the slippers always stay on, even if you wear Aventus or one of the twins. Because you know... what good is the greatest boss if you look like Hugo? This is my first comment in this community that has saved me from many mispurchases. Therefore I will try to give back a small part and share my experiences as well. I have a little experience with the rider and his cheap/favorable consorts. Underneath: CDNI, Al Rasasi Zebra, L'Aventure, Insurrection pure 2 and many other fakes of the cheap category, but also Bond, Nero and the rider (in various versions...) personally. It must have turned into a hobby at some point. Maybe many recognize themselves in it! I must admit that, in my experience, nothing can compete with the natural smell of the more expensive products. However, if you don't attach great importance to this, but only want to have as intensive Creed Aventus DNA as possible, Supremacy Silver is a good choice. The opening is much closer to the original than all the other clones I have tried (in my opinion even better than the original). As already mentioned several times here, it is a much more fruity version and the birch tar is present here, but much weaker than e.g. in CDNI. The durability is not particularly good, but beats the current batches of Aventus in my view definitely. I only noticed the Supremacy Silver through the forum. The comments made me curious and since I am a fan of the Aventus and have many similar scents I have also ordered this. Have already written a few times that I find the smoky in the dry down of Aventus mega. Unfortunately, there is no fragrance without a fruity top note. Well, back to Afnan. Flacon looks good. Nice closure and mirrored slightly transparent. spray head is also ok. At least the bottle doesn't look cheap. Wear it to work and exercise. I would not wear it for a special occasion or dinner because I would be annoyed if it was no longer perceptible.